Domain-specific measures of subjective wellbeing are valuable tools for assessing the mental health of college students. 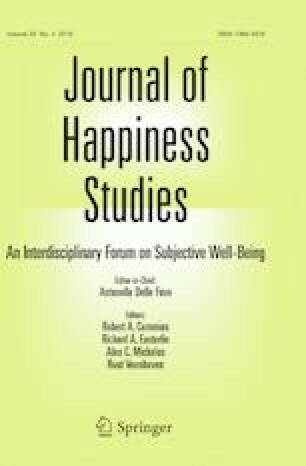 In this study, we examined relations between Big Five personality traits and college students’ subjective wellbeing (SWB) using a college-specific measure: The College Student Subjective Wellbeing Questionnaire. Using a latent variable modeling approach called bifactor analysis, we found that the general college wellbeing factor was best predicted by agreeableness and extraversion whereas the specific dimensions of college SWB were differentially predicted by conscientiousness and neuroticism. Specifically, conscientiousness best predicted academic satisfaction and efficacy whereas neuroticism best predicted students’ connectedness to the university. The results suggest that the profile of a flourishing college student is extraverted and agreeable. This study illustrates the methodological advantage of using a domain-specific measure of SWB and bifactor modeling to shed light on the unique relations between personality and various aspects of college students’ mental health. Seligman, M. (2012). Flourish: A visionary new understanding of happiness and wellbeing. Simon and Schuster. Retrieved from https://scholar.google.com/scholar_lookup?hl=en&publication_year=2011&author=M.+E.+P.+Seligman&title=Flourish.